Five people, including at least two Americans, were killed when their small plane crashed in Kenya's Great Rift Valley region on Wednesday, officials said. The Kenya Civil Aviation Authority on Wednesday morning received a distress signal from the light aircraft, which was headed from the Masai Mara National Reserve to the northwest town of Lodwar. The plane went down in a field in Londiani, a town in Kericho County, some 125 miles from where it took off, according to Capt. Gilbert Kibe, director general of the Kenya Civil Aviation Authority, who confirmed that all five people on board died. 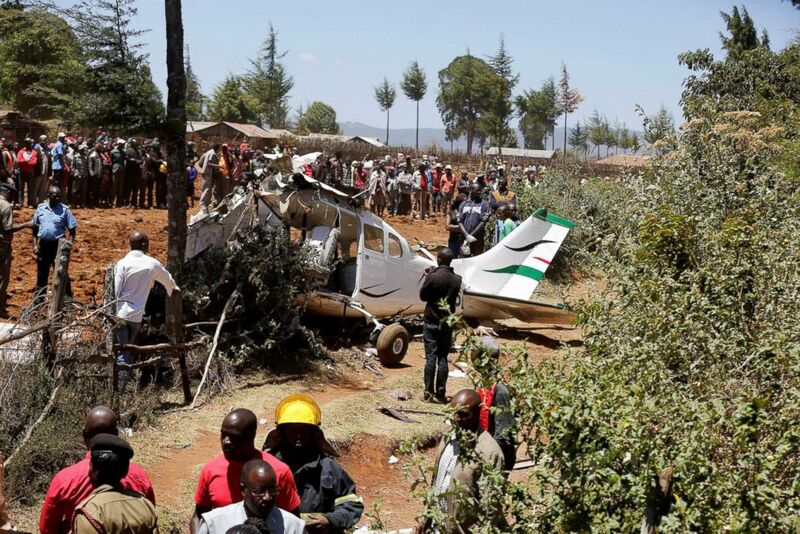 Rescuers and bystanders gather near the wreckage of a Cessna 206 light aircraft that crashed with its Kenyan pilot and four foreign passengers at an agricultural farm in Londiani, Kenya Feb.13, 2019. An official with the U.S. Department of State confirmed that two U.S. citizens were among those killed. "We are aware of the plane crash earlier today in Londiani, Kericho County, Kenya, and can confirm the death of two U.S. citizens," the official told ABC News in a statement Wednesday night. The nationalities of the other people on board were not immediately known. 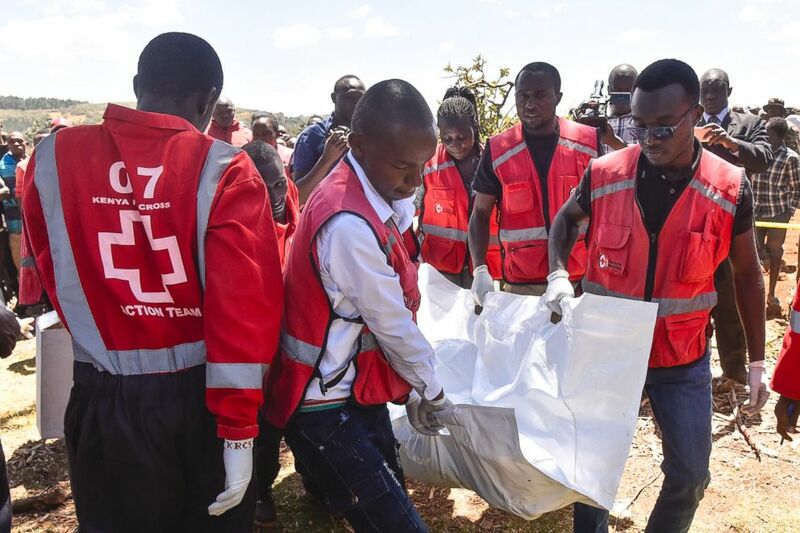 Members of the Kenya Red Cross carry victims' bodies after a Cessna 206 light aircraft crashed at Londiani in Kericho district, Kenya, Feb. 13, 2019. The U.S. government is in touch with Kenyan authorities regarding the crash, according to the State Department official, who referred ABC News to Kenyan authorities for further information. "We offer our sincerest condolences to their family and friends and stand ready to provide all appropriate consular assistance," the official added.